Newport is a growing area. Having experienced growth over the years from the Havelock - Cherry Point USMC Air Station population, Newport gained its fair share of residents looking for an area close to the beaches as well as work. Newport is a town in Carteret County, NC with a population of 4500 in the 2010 census. Homes in Newport vary. There is a little for everybody. Nice farmlands as well as suburban neighboorhoods are available in all price ranges. The town is run by a mayor, a town manager and a five member town council. The town has a fire department as well as active volunteer firemen and an ambulance service. The school system in Newport consists of 2 elementary schools, 2 middle schools and 2 high schools. There are also a few Christian Schools. There are many churches to choose from as well as shopping and dining in this area. It is in very close proximity to Morehead City, NC where more shopping and dining can be found and where beach access can be made. This area offers some very nice homes and condo’s with the convenience of so much more just minutes away. If you are looking to be close to the beach and boating and fishing and so many other things, without all the commotion of a bigger area, then Newport just might be what you are looking for. Take time out to call one of our agents and let us show you what Newport is all about. This might be the “out of the norm” place you are looking for with all the conveniences of the bigger towns. 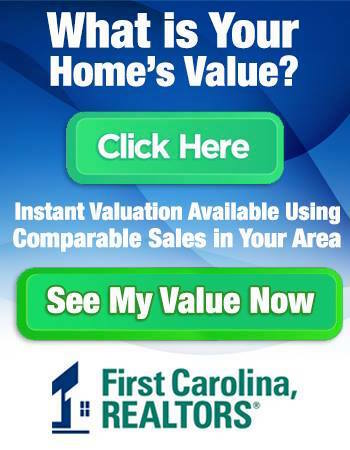 First Carolina, REALTORS® has many transactions in Newport over the years. Call us at 252-447-7900 with any questions. The search below are the newest listings. To see a specific search please use the advanced search box above. 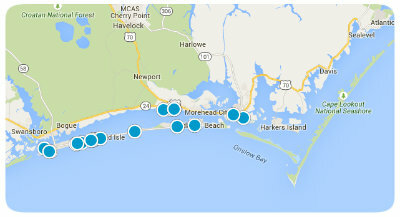 The Top 25 Newest Newport NC Listings! Manufactured home located across the street from the Newport River. Country location with no restrictions.